The hidden side of the Toronto Islands. 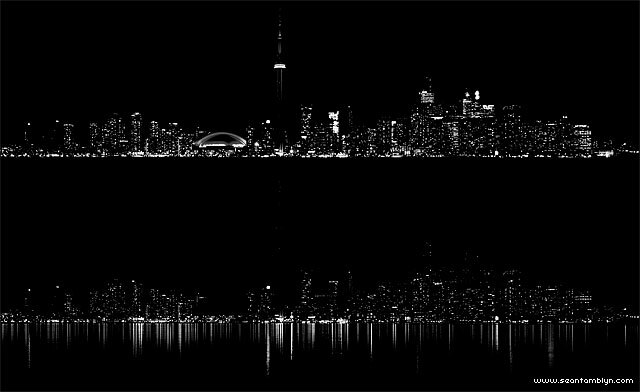 Careful processing of Earth Hour 2012 photography yields a direct luminosity comparison of the Toronto skyline. Taken at the same place at 8:45pm, the top image was photographed on March 29 and the bottom image during Earth Hour on March 31. Conspicuously absent are the Dome and CN Tower lights, and almost all corporate logos. An interactive timelapse of Earth Hour 2012 can be found online here. This entry was posted on Thursday, April 26th, 2012 at 8:52 pm. It is filed under Lagoon Report XXV, Lagoon Reports, Multi-frame, Technical and tagged with Canon EF 17-40mm f/4 L, Canon EOS 7D, Pclix LT. You can follow any responses to this entry through the RSS 2.0 feed.